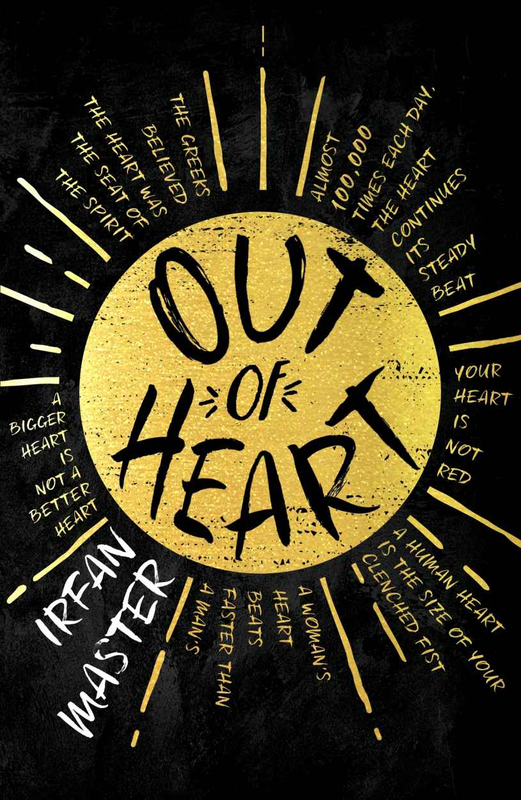 Out of Heart is a simply told story, about grief and family. When Adam's grandfather (referred to as Dadda) dies, he donates his heart. Still dealing with their loss, two weeks later a man turns up at the door. His name is William and Dadda's heart saved his life. This book requires a bit of suspension of belief. A man walks in off the street and is accepted into a family for the sole reason that the youngest family member recognises something in him. Implying there is a connection via the heart. It is explained later how William knew where the heart came from, but it still has a sense of fairy tale to it. William and Adam both start having dreams about Dadda and the heart. William is with the family briefly, and is a quiet unassuming man, but he is a catalyst for plenty of changes for the better. At first I though Farah was deaf but instead she had an accident leaving her unable to speak but still able to communicate. It must be our minds. Dadda gave his heart, not a brain. There's no hard drive in the heart. I felt it was lacking emotionally and there were a lot of different threads so no issue was looked at in great detail. One of Adam's friends make a distasteful joke about people thinking he's on the autistic spectrum and they will think he's crazy. There's a lot about Adam, that makes you think maybe there is some learning difficulty left undiagnosed. His teachers think he's capable but he just doesn't do the work. He communicates better through his artwork and creates sort of poems from jumbled letters, helping him make sense of his thoughts. It might be better read as a middle grade book, where more complex explorations aren't required. It touches a little on poverty and domestic abuse, and there's a very gentle romance which is a very small part. I can see younger, serious readers who prefer their fiction without action liking this. Adam is fifteen and they do say kids like to read upwards, so maybe 12-14 is a good age if the topics are OK for them. Irfan cleverly introduces the Shah's as Muslims in a scene where Yasmin and Farah are shooed away from Dadda's funeral by elder men from the community. Women are not permitted. I liked Yasmin, she repeatedly stands up for herself and by the end you can tell she sees some of this "community" as fools. I don't think their religion is ever spelled out but it is implied. This also explains why Dadda's heart donation was such a shock. Organ donation is a topic of much confusion in the Islamic faith and as a result there is a severe shortage of donors among certain ethnic groups. It is not condemned in the Koran but some believe it will leave person incomplete in the afterlife. Yet saving a life is the greatest gift and should be encouraged. Claret waves had crashed against a cliff-face, attacking the atria and surging through the ventricles. The book is also illustrated, with a dot-to-dot at the end (this is relevant) and is interspersed with facts and quotes about hearts. 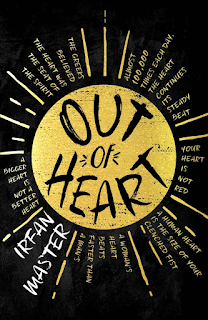 Out of Heart is published by Hot Key Books and is out now in paperback and ebook editions. Thanks go to the publisher for providing a copy for review via NetGalley.